Every day Joe Udoni meets with people looking to find the quality of life the Waupaca community offers. Joe knows the desire for a quality small-town lifestyle, the real estate market, and how to bring buyers and sellers together to meet their real estate needs. Whether it’s a waterfront home on the Chain O’ Lakes, secluded hunting parcel, country home, commercial property, or hobby farm, Joe knows how to help you achieve your real estate goals and dreams. 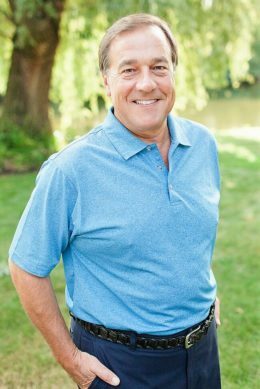 Joe has been working in real estate since 2001and opened Udoni & Salan Realty Group-United Country in 2005 with his brother-in-law Scott Salan. The brokerage has become the leading real estate office in the Waupaca and Chain O’ Lakes area. Joe is the waterfront sales expert. He is the #1 broker for buyers and sellers of homes on the Chain O’ Lakes. In 2014 the office ranked #1 in the state and #4 in the nation. Joe has also been appointed a United Country Regional Director for Wisconsin and the franchise’s National Lakefront Property Director. Joe supports the Waupaca Area Community Foundation and Waupaca Community Hospice. He has served on the Chain O’ Lakes Board Association, Waupaca County Shore Land Zoning Committee, was a Board Director and Ambassador for the Waupaca Area Chamber of Commerce, and a member of the Dayton Township Comprehensive Planning Committee. Joe was born and raised in Chicago. After graduating from DePaul University with degrees in marketing and business management, he went on to develop strategic alliances for Fortune 500 companies throughout the country. While working in the city, Joe met his wife Suzanne, a Waupaca native. Joe’s first trip to the Waupaca and Chain O’ Lakes area convinced him that this was truly a special place. His love for the area made the decision to raise their three daughters in this unique town an easy one and in 1996 Joe and his family made Waupaca their home.